The Oscars. A glamourous event full of fashion, lights, photographers, limousines, it’s a celebraties dream! And wonderful for us to watch. My sister’s birthday is coming up, and she just loves being the center of attention and glamourous things so I thought that an Oscars birthday would suit her perfectly! Since I am helping my Mum to organize the party, I will leave tutorials to all the DIY projects I attempt (and hopefully succeed in! ), give you guys any links to websites or shops I’ve bought products from and even any documents that I create for the party! Firstly, I’ll post the invitation! This is just my version and of course you could also buy some or even create them yourself! 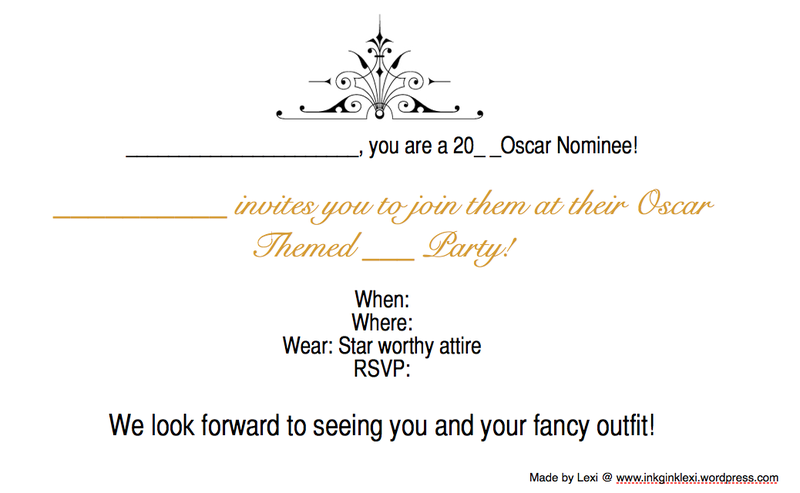 If you think that you’re not creative enough to make one yourself, I would highly suggest taking this one because you can pay a lot of money for other invitations especially Oscar ones (as they are not very common). 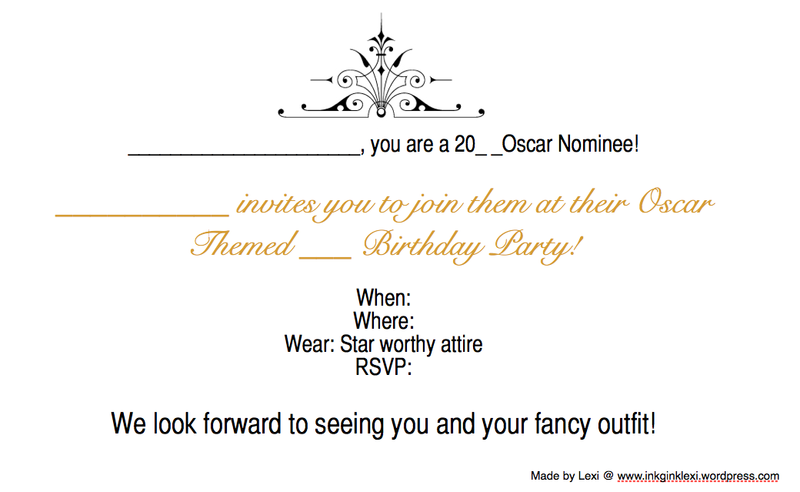 I have put two up one for a birthday and one just for a party in case there is another event that you want to be Oscar themed!